We have a very special offer available for a very limited time. 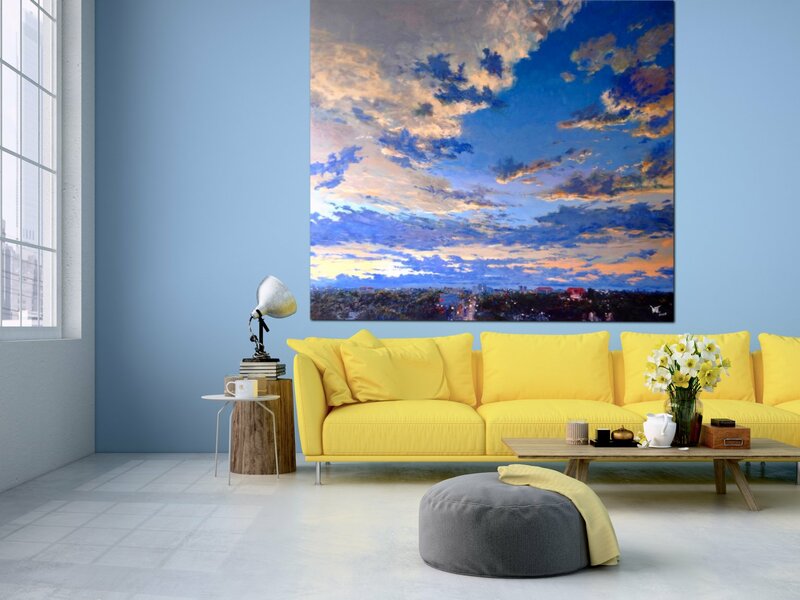 25% off this gorgeous oil painting by Dusit Pimchangthong. 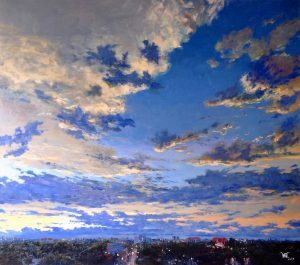 The painting is called “Early Evening Sky” and it captures the majesty of an early evening sky full of clouds. Size is 220x195cm and the medium used is oil. The full price of this painting is $12,000 Australian dollars. This comes down to $9,000 until June 20th 2017. As I said, this is a very limited offer. You’ll receive the painting rolled in a PVC tube ready to be stretched. Contact gary@tuskgallery.com.au if you have any questions.